When you’re craving pasta and chicken, give this a try instead.The zoodles give you the feeling of eating pasta without that heavy feeling. 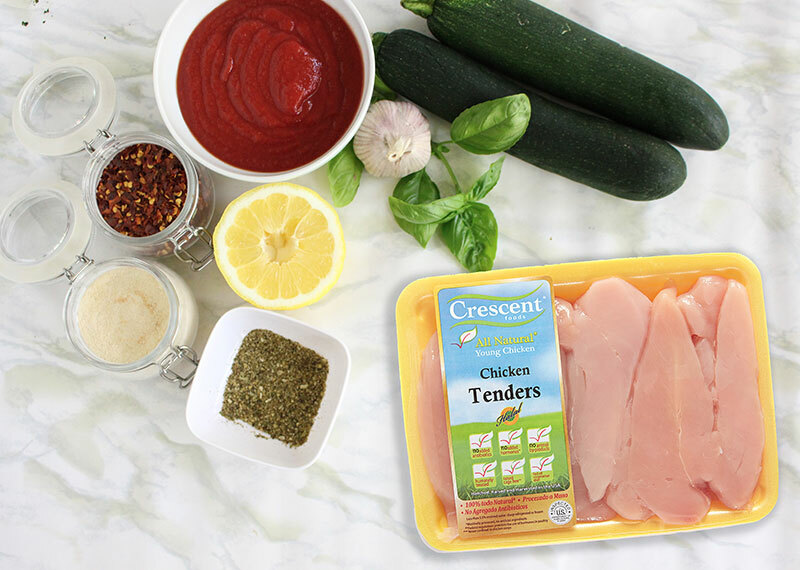 The zucchini along with the tender chicken and fresh tomato sauce is a delicious combination. 1. In a medium sized bowl, combine all the ingredients for the chicken, olive oil, oregano, parsley, red pepper flakes, garlic, lemon pepper, salt and pepper. Let chicken marinate for 20 mins. 2. Grill chicken on the BBQ or on the stove top with medium-high heat pan for 2-3 minutes on each side till done. Set chicken aside to rest. 3. In a medium saucepan, add in olive oil, red pepper flakes, salt and garlic. Turn on heat to medium and mix till garlic becomes fragrant. Add in strained tomatoes and mix well till sauce comes to a slow simmer. Cover with a lid and let simmer for 5 minutes. Turn off heat and add in lemon zest and chopped basil. 4. 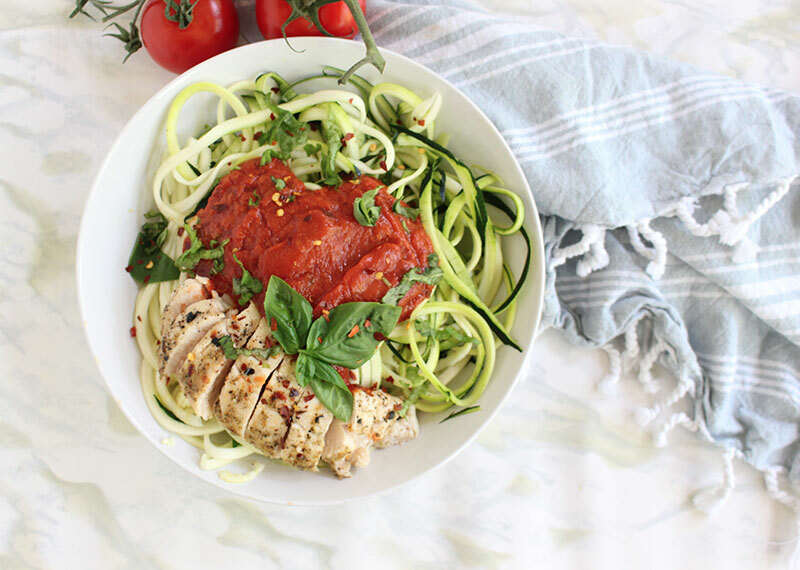 Spiralize zucchini into a large bowl, top with tomato sauce and cooked chicken. Sprinkle with basil and red pepper flakes.